Posted on Sunday, January 6th, 2013 at 10:43 pm. Posted on Thursday, November 15th, 2012 at 12:45 am. 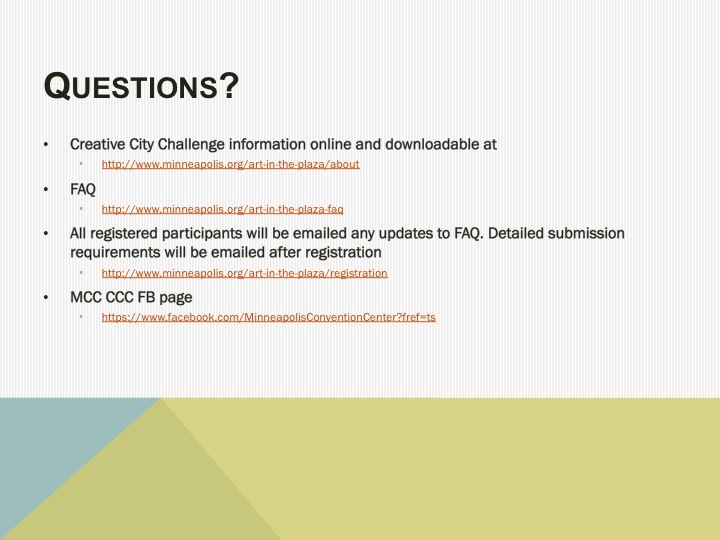 The Minneapolis Convention Center (MCC), Meet Minneapolis Convention & Visitors Association, and the City of Minneapolis announce a new, $50,000 “Creative City Challenge” to create and install a temporary, interactive, site-specific, eco-focused “portal” to the City of Minneapolis on the Plaza of the Minneapolis Convention Center beginning summer 2013. 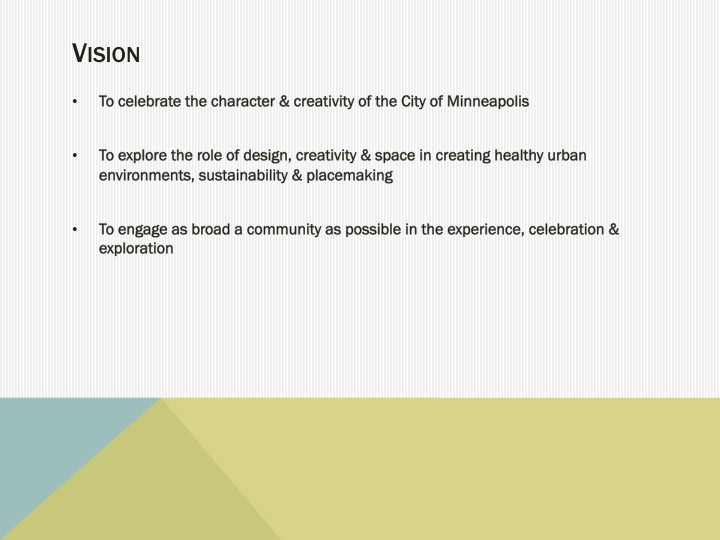 This challenge is intended to encourage exciting proposals and thoughtful discussion about how to make our downtown more vital, dynamic, livable, walkable and environmentally friendly. Moe information. Posted on Friday, May 20th, 2011 at 11:10 pm. for dawn or dusk // homeward is a 10-15 minute sound work for 100+ local musicians playing brass, percussion, piccolos and tiny whistles. 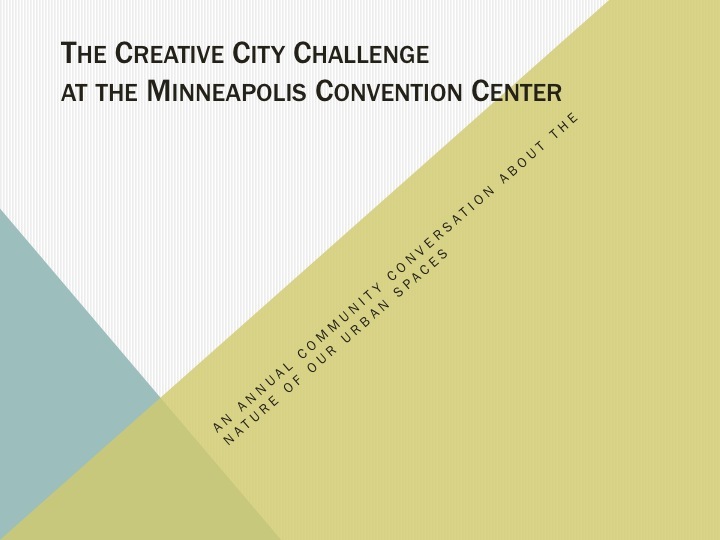 The site specific performance will take place on the Stone Arch Bridge, stretching across the Mississippi playing overlapping melodies derived from the route of the river. The piece follows the route of the river south past St. Louis, Memphis, New Orleans and into the Gulf of Mexico. The piece is written by Los Angeles based composer Chris Kallmyer who will come out to work with the group on June 3 + 4. We are looking for musicians age 10 – 110 (amateur and professional) who love playing their instrument, are not afraid to play loud, and have an interest in engaging with their community via music. Folks need to be willing to participate in three rehearsals prior to the performance at the Northern Spark Festival on June 4 at 9:05. Participants will need to provide their own instruments, and percussionists are encouraged to bring two instruments from this list: marching snare drum, marching bass drum, glockenspiel, metal junk, and bells. Two rehearsals with your section leader prior to the June 4 concert. If you would like to participate, please contact the event coordinator, Phil Snyder. Posted on Wednesday, May 11th, 2011 at 11:15 pm. Congratulations from the jury: Steve Dietz, Artistic Director, Northern Lights.mn; Ben Heywood, Executive Director, The Soap Factory; and Amanda McDonald Crowley, Eyebeam Art & Technology Center. And from AOV3 Co-Director Christopher Baker. Posted on Monday, September 6th, 2010 at 7:54 pm. San Jose, California, is the 10th largest city in the United States. Surprisingly, it is not necessarily on everyone’s top 10 list of places to visit. 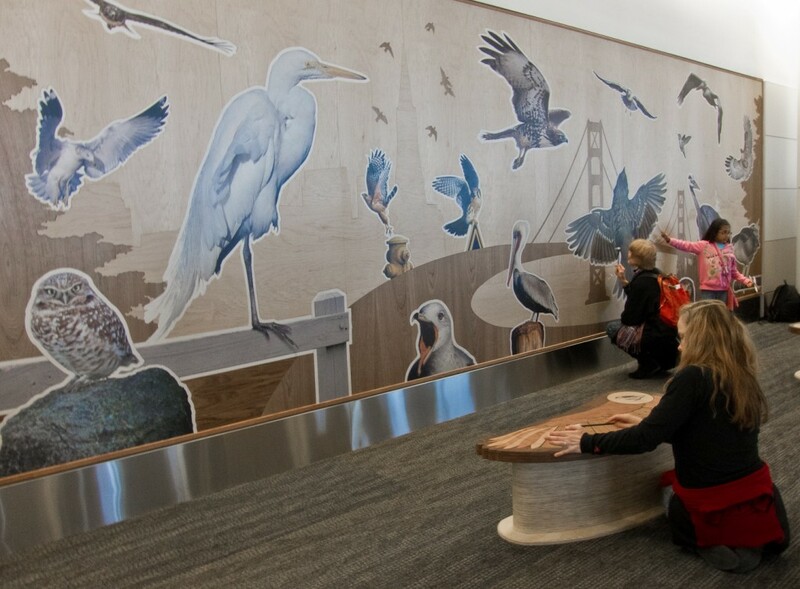 If, however, you have even a passing interest in contemporary art, in particular the ways it intersects with contemporary (digital) culture and technology, San Jose is the place to be for the next two weeks. Admittedly, as the current Artistic Director of the 01SJ Biennial I may not be an entirely unbiased voice in this matter, but let me share 10 reasons you should come to San Jose for 01SJ, September 16-19, and see at least some of 100 art installations, 46 commissioned works, 9 exhibitions, 20 workshops, 12 public artworks, 4 urban games, 1 drive-in movie theater, a nighttime street fair, a green prix of eco-locomotion, an epicurean multi-media dinner, a requiem mass for fossil fuels, audio ballerinas and robotic sitars, musical performances, operas, and more. I don’t know if it really is the largest "garage" in the world, but Out of the Garage, Into the World takes place in the 80,000 sqaure feet (7,432 square meters) South Hall of the San Jose Convention Center. Essentially a domed parking lot, for two weeks, beginning September 4, 01sj.org/art/out-of-the-garage/ will publicly build their projects in and around a scaffolding structure designed by Madrid-based architect Angel Borrego Cubero. The projects run the gamut from a book-making workshop by Guggenheim fellow Monica Haller for war veterans the Eyebeam Roadshow to a contemporary hurache workshop by Pilar Aguero-Esparza and Hector Dionicio Mendoza to mobile archipelagos by Nova Jiang to a zipline "xAirport" wearing innovative wing designs over an artificial marsh "ark" for endangered frogs by Natalie Jeremijenko to public orchards, DIY solar sculptures , gift horses, i-weather, pirate radio, and much more . The entire "garage" is serviced by a full tech shop with laser cutters, CNC mills, shop bots, and industrial sewing machines. Come often to see these works-in-progress September 4-14, admission is free, and only $5 for multiple visits September 16-19. 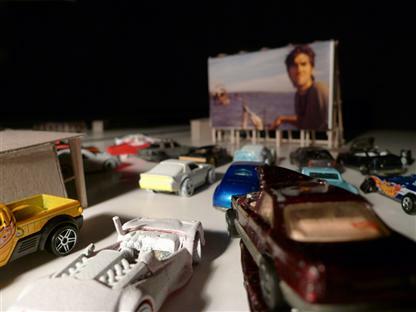 As part of Out of the Garage, Into the World, artists Todd Chandler and Jeff Stark and cohorts will be constructing Empire Drive-In, a full-scale drive in theater using salvaged materials, including the cars for seating. There will be a daily film program and nightly live cinema performances such as Chandler and Dark Dark Dark’s Flood Tide Remixed, Graham Weinbren’s 50 Letters, Stephanie Rothenberg’s Second Life talk show Best Practices in Banana Time, Zoe Keating’s remarkable cello in collaboration with Robert Hodgin’s visuals on Into the Trees, the California premiere of Rick Prelinger’s latest archive mash up The Lives of Energy, Sheepwoman by SUE-C & Laetitia Sonami, and a series of telematic performances, Domain, curated by Rhizome’s John Michael Boling, by Jeremy Bailey, Petra Cortright, Constant Dullaart, and JODI. Art is not just in the garage and theaters and galleries at 01SJ, it is also in the streets, everywhere. 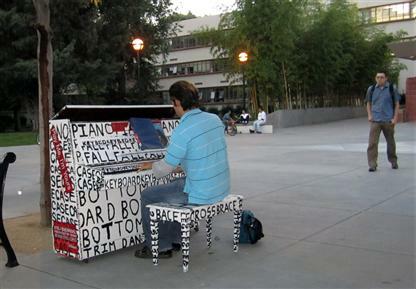 Luke Jerram’s acclaimed Play Me I’m Yours has 20 pianos throughout San Jose, which anyone can play – and decorate. Rigo 23 is producing a newly commissioned video projection, Oglala Oyate: Sister City for a Better Future. Chris Baker’s interactive projection, 01sj.org/2010/artworks/offscript/, will play nightly at Santana Row . Yung-ta Chang’s Signal Flow, in a nod to San Jose’s radio history, will greet visitors to South Hall along with Sabrina Raaf’s Meandering RIver. A half dozen works have been commissioned by the San Jose Public Art Program for 01SJ, and Chico MacMurtrie’s Inflatable Architectural Growth will expand on 1st Street during AbsoluteZER0 and the Green Prix. 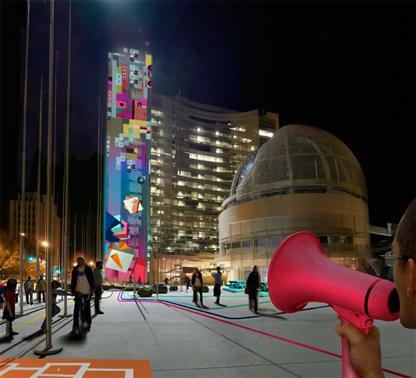 Each Biennial San Jose’s Richard Meier-designed City Hall has been the canvas for a major public art commission. On Thursdsay, September 16, duirng the 01SJ Opening Ceremonies, the Rockwell Group LAB will power up Plug-in-Play, an interactive projection, which suggests a new type of environment where social interactions, citizenship, and personal activities are more dynamically reflected. Inside the City Hall Rotunda, Ken Gregory will present his sound sculpture, wind coil sound flow . 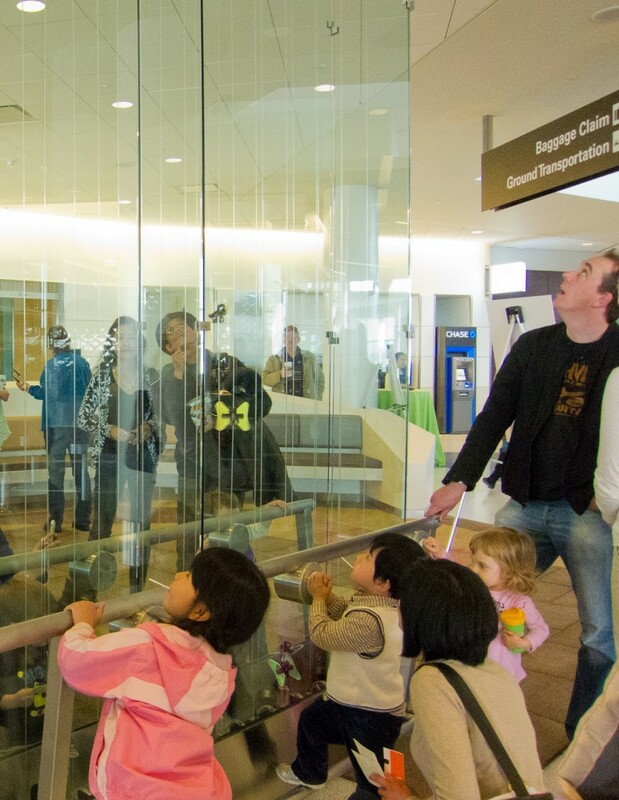 During opening ceremonies, Benoit Maubrey and Ballet San Jose will perform Audio Ballerinas. 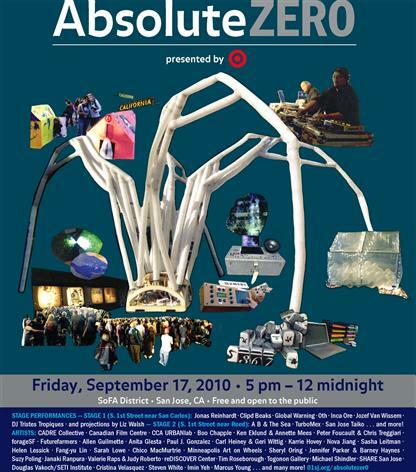 Now an annual event, AbsoluteZER0 is a vibrant street festival where the public can engage with art, music, science, and technology in new and compelling ways outside on city streets. 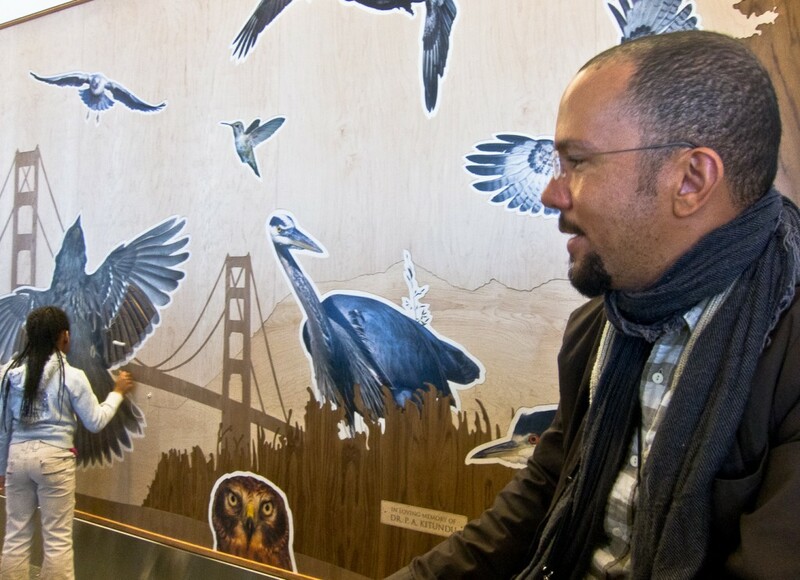 From an Art Ark to CITY/SPACE/SHARE, a pilot project out of CCA intended to revitalize vacant storefronts and transform urban activity in the City Center of San Jose to Marcus Young’s solo dance program Can’t You Feel It Too? to Steven White’s two-person Ferris Wheel, Over the Top, AbsoluteZER0 is an event not to be missed. "Go play in the streets" is not just something your mean uncle said. At 01SJ it is a new strand of programming where artists use the city itself as a playground for "serious play." The world premiere of Blast Theory’s A Machine to See With is co-commissioned with the The Banff Centre, and Sundance Institute’s New Frontier Initiative. It mixes documentary material, stolen thriller cliches, and the films of Jean-Luc Godard and invites you to become someone else. 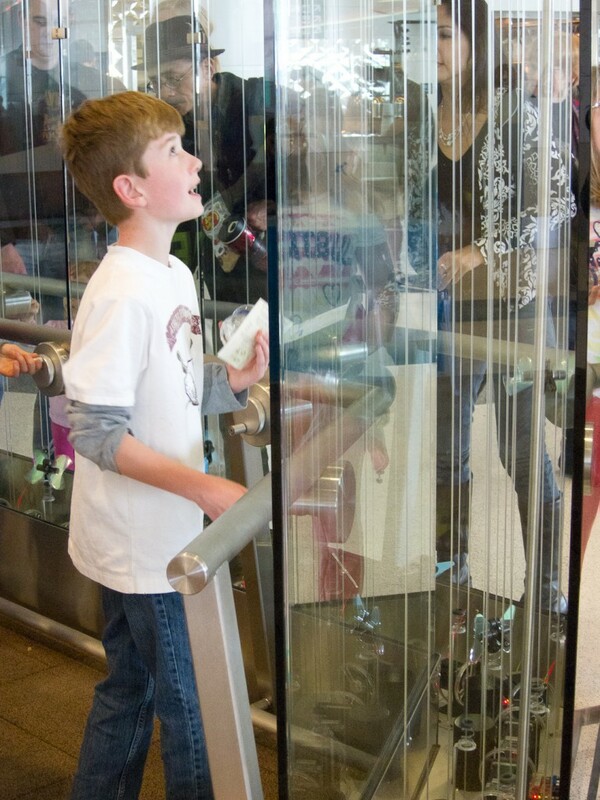 Step inside a film as you walk through the city, receiving phone calls. Are you the protagonist or a bit part player? Start making decisions and you will find out. Participation slots are limited, and you can buy tickets ($12) here. You can also become a Zoropathian or participate in an EST-like seminar, LevelFive in commissioned projecs by Ken Eklund and Annette Mees and Brody Condon. And don’t forget to transform your favorite hoodie for an interactive game of zombie tag during AbsoluteZER0. The Green Prix is a parade and all day festival of sustainable, ecological friendly, and fun modes of transportation—artful “eco-motion.” It will include and Aeolian Bike Ride, Art Bikes, a burlap 1964 Ford, a Gift Horse, Maria del Camino, a video game concept car , a mechanical elephant on wheels , solar cars and much more. 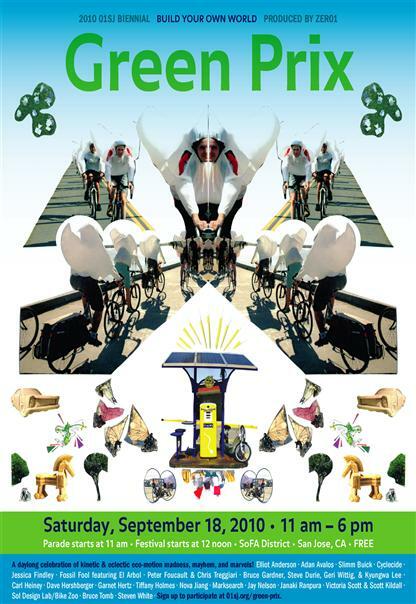 And It is open for EVERYONE: artists, designers, families, schools, and anyone else who has or wants to create a new mode of sustainable transportation. 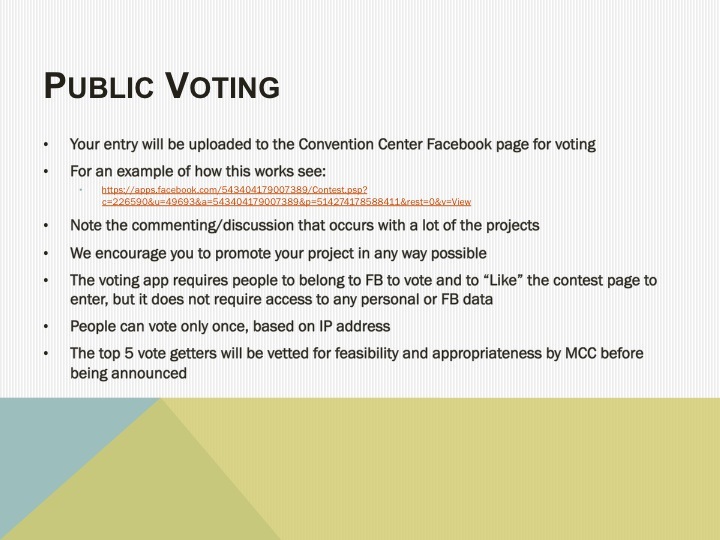 It is your opportunity to create, participate in, and cheer on innovative projects related to eco-themed transportation. So break out your banana-bikes, self-propelled jet packs, soapboxes, and solar cars to come out and strut your stuff in front of a cheering audience. The Green Prix Parade will begin at 11:00 am on Saturday, September 18th. It’s not too late to register here . The Green Prix culminates in a special mass by O+A at St. Joseph’s Cathedral, Requiem for fossil fuels. During 01SJ, San Jose will be a 24/7 city. Three midnight concerts by contemporary sound artists curatd by artist and musician Stephen Vitiello will take place on Thursday, Friday, and Saturday night at midnight inside one of San Jose’s historic venues, Trinity Cathedral. untitled composition for piano, field recordings, sine waves by Olivia Block, Possible Landscape (for Donald Judd) by Steve Roden, and Untitled by Stephen Vitiello and Molly Berg . For other nighttime events check out the live cinema at Empire Drive-In, Randall Packer’s multimedia opera A Season in Hell , and KarmetIK’s symbiotic Robotic/Human Ensemble in collaboration with Abhinaya Dance Company. At the heart of 01SJ is the artists, of course, and many of them will be participating in an artist talk series beginning Tuesday, September7, through Sunday, September 19. The full schedule is here. And you can do more than listen to many of the artists, as enlightening as that can be. Many are offering hands-on workshops open to the public from a barn raising to a biodiesel bus tour of San Jose’s urban orchards and farms to DIY solar sculptures to a youth workshop on future sounds to Imaginary Airforce Flight Attendant Training and much more. The complete listing of workshops is here. The 01SJ Biennial is one of very few similar events in North America. ZER01 receives very little support from government sources, unlike similar events in Europe, South America, and Asia. Help this important event to continue by chipping in whatever you can. Every $5 helps. Donate here. Above all, come and visit. Tickets are online here. See you in San Jose @01SJ. Posted on Friday, October 16th, 2009 at 9:02 am. 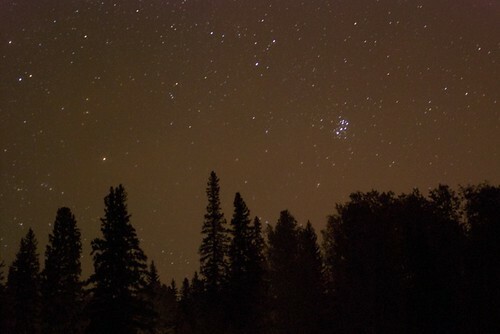 See Looking for aurora borealis. Posted on Friday, October 16th, 2009 at 12:37 am. 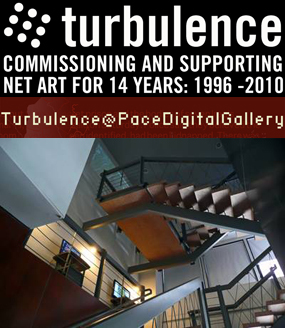 Northern Lights announces a second round of Art(ists) on the Verge commissions (AOV2). 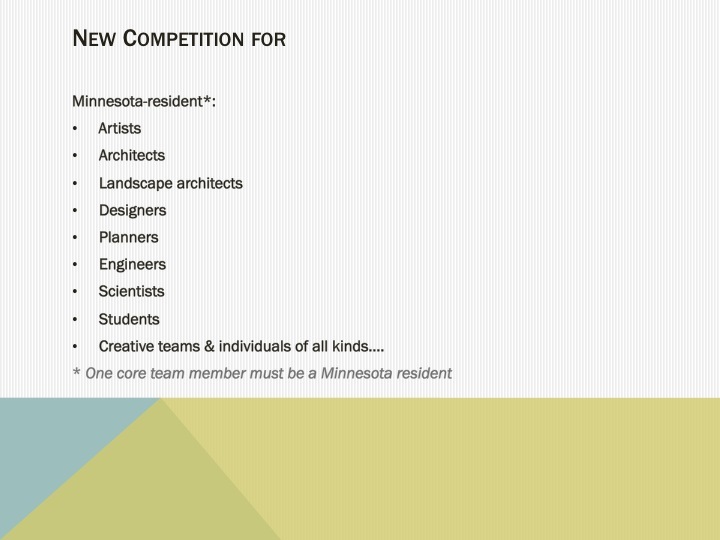 AOV2 is an intensive, mentor-based fellowship program for 5 Minnesota-based, emerging artists or artist groups working experimentally at the intersection of art,Â technology, and digital culture with a focus on network-based practices that are interactive and/or participatory. AOV2 is generously supported by the Jerome Foundation. An informational session (optional) will be held Friday, October 9 at 12:30 pm in the Influx room at the Regis Center, U of M, Monday, October 26 at 12:00 pm in the small auditorium at MCAD, and Tuesday, October 27 at 1:00 pm at Common Roots in the Common Room.Â Additional dates and times for informational meetings will be announced soon. Sign up for the Northern Lights newsletter or subscribe to the Public Address blog to ensure you are notified. In 2008-2009, the Jerome Foundation partnered with Northern Lights to commission six new works by Minnesota-based emerging artists. For more information about the first AOV program, see http://tylerstefanich.com/clients/northernlights/programs/aov1/ and related pages. 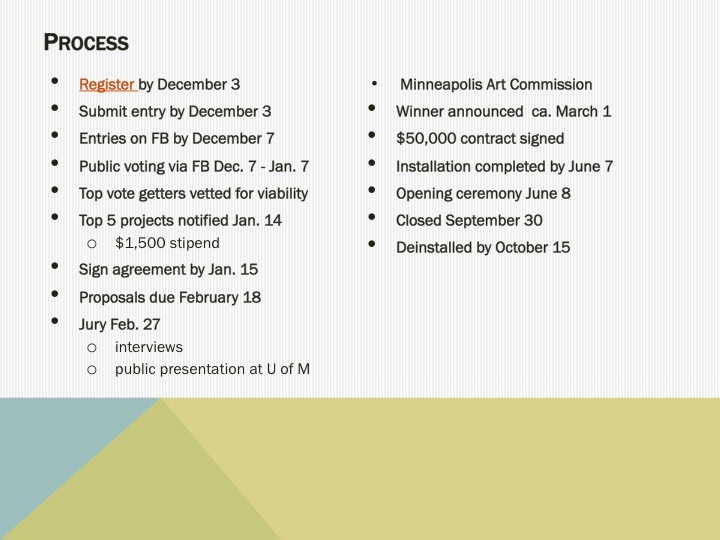 The AOV2 program is based on the experience of and lessons learned from the first Art(ists) On the Verge program, and its core goal remains to support network-based, experimental art practice by Minnesota-based emerging artists with the following key elements: critical support and evaluation, monetary and technical resources, audience development through presentation and exhibition, and institutional recognition. Every other month meetings of all fellows with Northern Lightsâ€™ Artistic Director and guest critics to be determined. Participation in the fellowship programming is not optional and can only be done in person. The AOV2 Fellowship is not a research grant per se. It is expected that all AOV2 Fellows will publicly exhibit or otherwise present a final project as part of the Spark Festival October 5-10, 2010. Other options are acceptable upon consultation. 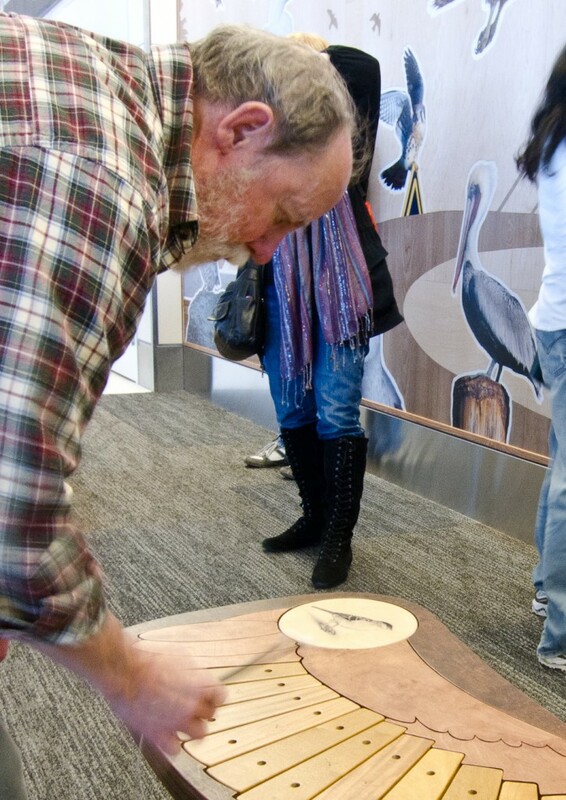 Limited funding is available for public exhibition or presentation. AOV2 is for artists or artist groups working experimentally at the intersection of art, technology, and digital culture with a focus on network-based practices that are interactive and/or participatory. Experimental. How does your proposed project fall outside â€“ or straddle â€“ traditional and discipline-based notions of art practice? Note. This is not a research grant and personal experimentation with a practice that is new to you does not in itself constitute experimental practice. 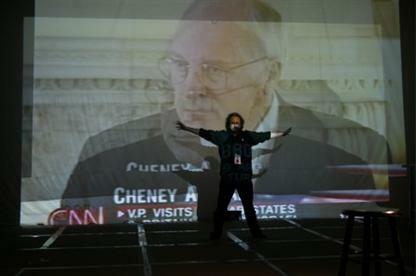 Intersection of art, technology and digital culture. This grant is not for software development per se, and your practice should incorporate technology in a meaningful way. It does not have to be â€œnewâ€ technology, but if your technology is the pencil, it should be an innovative use. â€œArtâ€ is broadly defined in relation to digital culture. For example, video games or Twitter can be your art, and/or you can eschew the term art for a broader concept of cultural production. Network-based practices. Primarily, this means the Internet and any related or dependent platform or protocol from Second Life to Facebook to FTP. Your project does not have to be network exclusive, however, and we encourage hybridity, particularly in relation to physical public space. 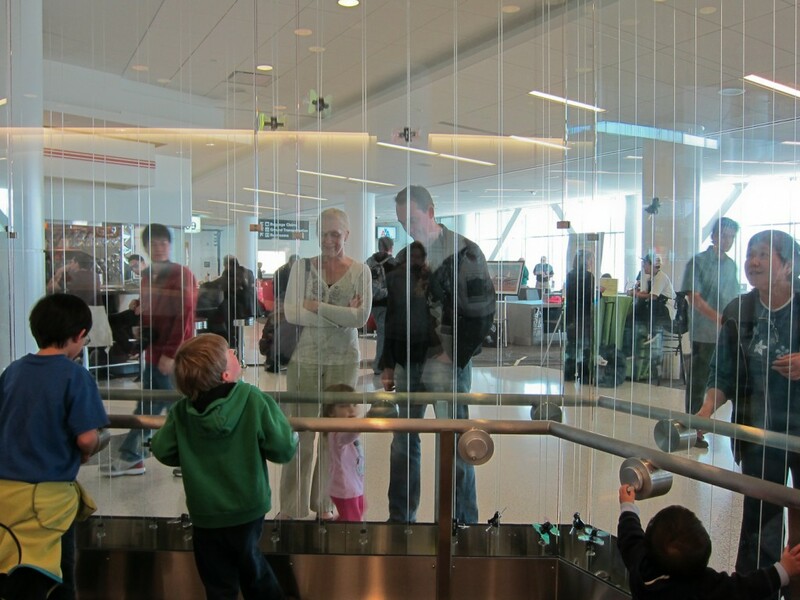 Interactive and/or participatory. Your project should have some significant, dynamic component to it, which is not fixed. The goal of the AOV2 fellowships is not to be prescriptive but to support artistsâ€™ practice that often falls between the cracks of traditional programming opportunities. Weâ€™re convincible. However, AOV2 is not a program in which technology is used to expand upon, distribute or document work in other disciplines. Minnesota residents at the time of application and during the fellowship program, January 2010 â€“ September 2010. Considered an emerging artist. An emerging artist shows significant potential, yet is under-recognized by peers, curators, producers, critics and administrators. Evidence of some professional achievement is expected, but not an extensive record of accomplishment. Full-time students are not eligible, with one exception. 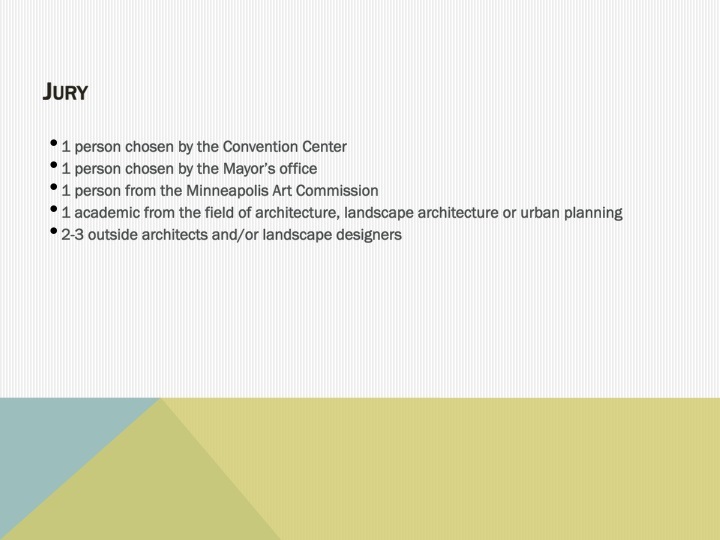 If an artist enrolls in an undergraduate or graduate degree program or takes classes while maintaining a current and active professional practice of creating and presenting work to the public, she/he is eligible. Artists may be supported as individuals or as equal collaborators. Committed to participating fully and regularly in the fellowship program. 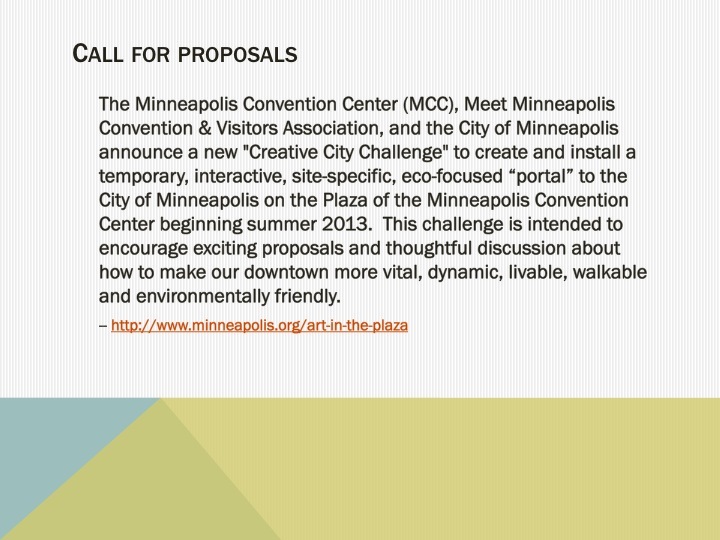 Artist proposals are sought through an open call. A jury consisting of Darsie Alexander, Chief Curator, Walker Art Center, Steve Dietz, Artistic Director, Northern Lights, and Kathleen Forde, Curator for Time-Based Arts at the Experimental Media and Performing Arts Center (EMPAC) in Troy, NY, will make the final selection. 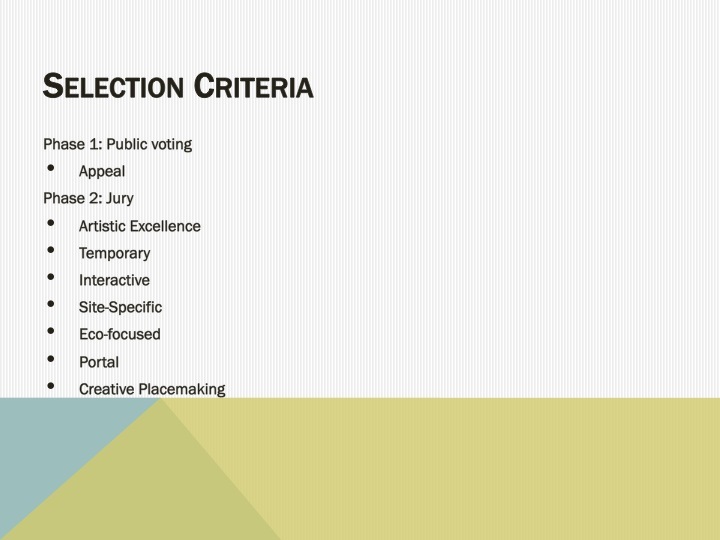 Five projects will be selected by the jury. Quality of past work as demonstrated through work samples. Note, this does not mean that the artist is required to be expert in all the technology or fields required to successfully complete the project. Articulated interest in participating in a creative and critical process with peers and mentors. Note, it is acceptable but not required to have a mentor in mind you would like to work with. Mentors receive a small honorarium for their participation. 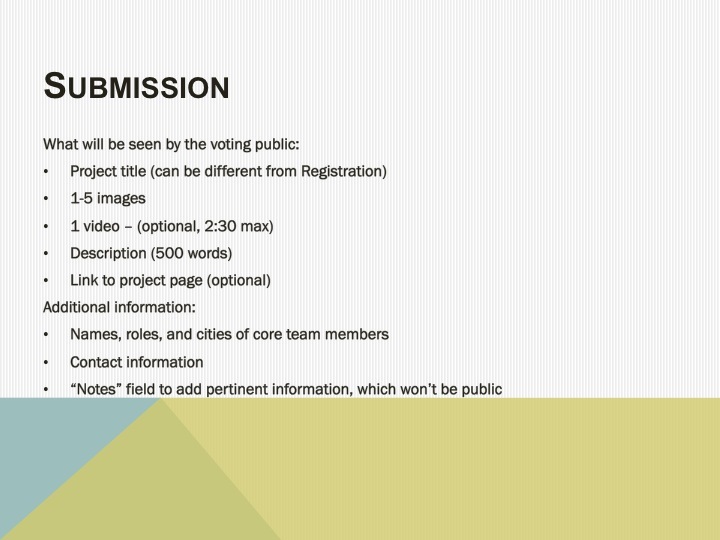 Selections will be announced by December 15, 2009. Your Artist Statement (2 pages max) should articulate both your interest in participating in an intensive fellowship program and how your artistic goals match the program criteria. Your project proposal (2 pages max) should discuss your projectâ€™s core concept, your approach to realizing it, the kind of support you think you will need, and what the public outcome will be. 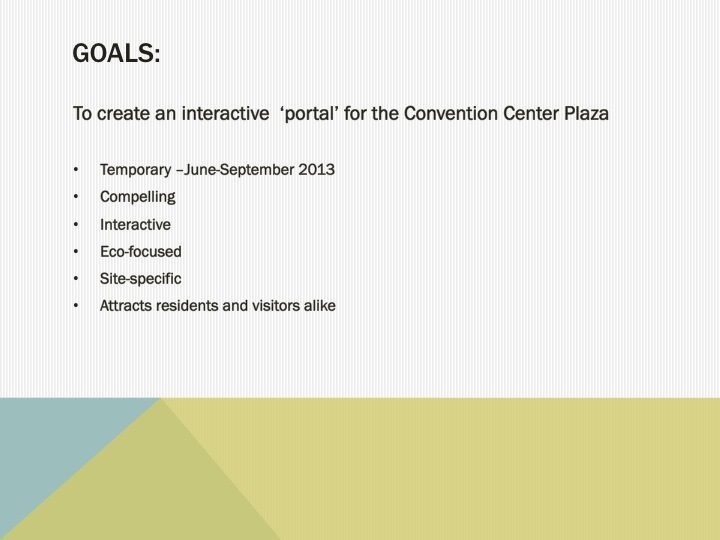 The project proposal should be as specific as possible about goals and outcomes. It is less critical to know exactly how these will be accomplished. In any case, the project proposal is considered a starting point, and we recognize that it may change radically over the course of the Fellowship. Provide a list of your work samples with title, date, medium, link, and a brief description for each sample. All work samples should be accessible via the web. They can take any form, as long as they are accessible via the web. You may include up to 8 minutes of work samples. Note: more is not necessarily better, and you should include only work samples relevant to your proposal. If one of your work samples is a website, include specific pages to view and how to navigate to them, if there is no direct URL. Include a short narrative bio, 150 words max, as well as a complete resume of exhibitions and related work. If you are applying as a collaborative, include rÃ©sumÃ©s of all involved equal collaborators, noting the role of each personâ€™s involvement in this work (no more than 2 pages per person.) You do not need to but may include the names of supporting collaborators, such as a programmer or performer, for example. Note: In the case of collaboratives, the artist honorarium will be split amongst the collaborators, and all equal collaborators need to participate in the Fellowship programming. 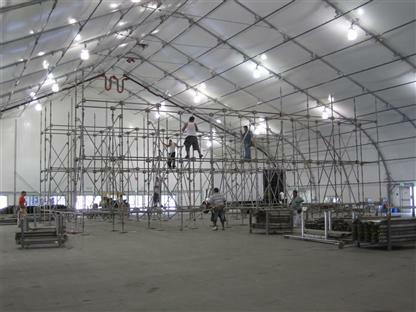 Include your best estimate of a production timeline and project budget, which can include your own fee. The budget is not determinative, and both it and the timeline can and probably will change, but the scope should roughly match the resources and timeline of the Fellowship program. References are optional. Include up to three letters of reference. The references are most useful in relation your ability to work in a collaborative environment and follow through on commitments. Your works samples will be your primary indicators of artistic excellence. Ask your references to write about their experience with your process and their estimation of your ability to benefit from the AOV2 program. Actual letters should be provided. 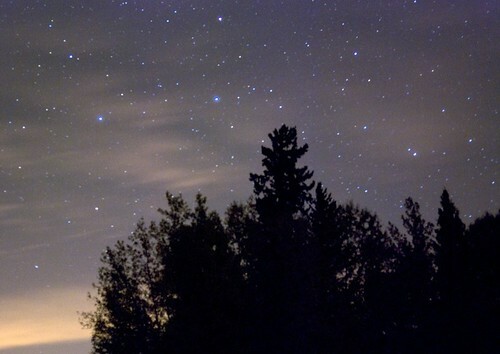 Email AOV[at]northern[dot]lights[dot]mn with any questions.